Marlee is making the most of the Blueberry Blow Out to bring in business to The Berry Basket. Between her two young helpers, the shy baker, and herself the store and the booth at the festival are going strong. What should be a great and fun time is marred by the competition between the Zellers and Gales, with both families determined to win every competition. Engaged to Ryan Zeller, Marlee is volunteered for the women's blueberry pie eating contest. Only it seems, Ryan wants to make a lot of decisions for Marlee and that's an added layer of conflict. Add to that the ugly fight between Ryan and Porter, a less than heartfelt apology, and then Porter is dead. Many of the towns people talk about the hostility and the tug of war incident, only Ryan has conveniently left to go fishing with his buddy. In between finishing out the festival, Marlee is busy trying to prove that Ryan didn't kill Porter. The more she tries to understand, the more secrets she uncovers and the more comfortable she is about the whole situation. Unfortunately, uncovering secrets is not always good for one's health, Marlee's or Ryan's included. The story is well-paced and the ending isn't obvious, though believable. 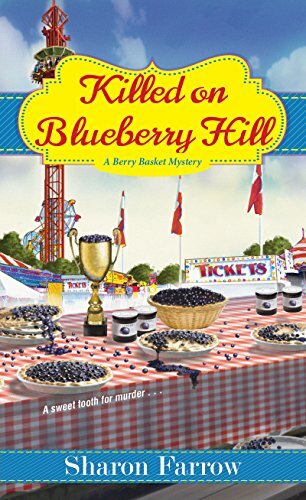 I liked Marlee and the Berry Basket crew. The story has a small town feel with feuding families, yet not immune to more big city problems. Although this is the third in the series, it's the first I've read. It can be easily read as a stand alone. 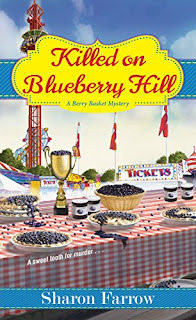 If you enjoy a cozy mystery, you'll enjoy Killed on Blueberry Hill. I love blueberries since they are readily available at our local supermarket. In addition they are an easy way to obtain antioxidants. 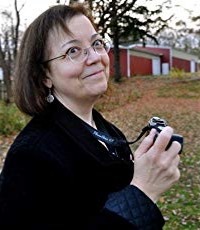 Thanks for the review of Sharon Farrow's book.